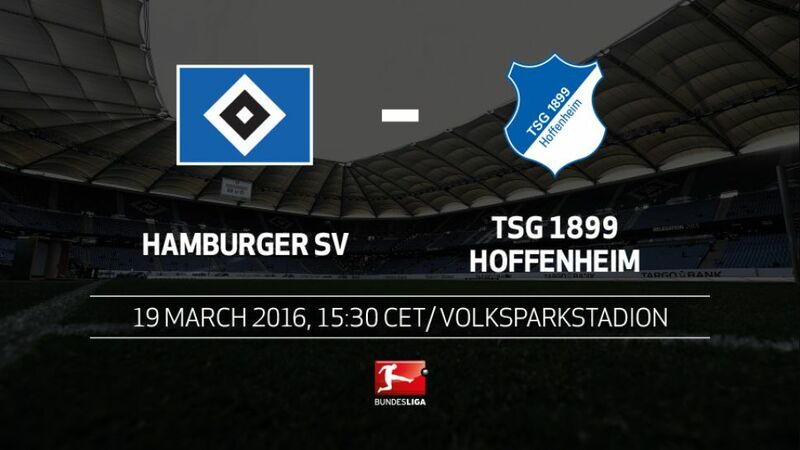 TSG 1899 Hoffenheim will be looking to improve their poor away record (W1 D4 L8) and fire their survival bid when they face Hamburger SV on Saturday (kick-off 15:30CET/14:30GMT). Resurgent under young coach Julian Nagelsmann, Hoffenheim recorded a surprise victory over VfL Wolfsburg last week to lift themselves to within three points of safety. The Sinsheimers' away form, though, has been disastrous this season and Nagelsmann's troops have won none of their last nine games on the road. After a narrow defeat to Bayer 04 Leverkusen on Matchday 27, Hamburg are yet to fully extricate themselves from the relegation fight, and with seven points separating them from the bottom three, victory in this one would go a long way to helping Bruno Labbadia's side secure their position in mid-table. Nagelsmann has won three of his six games in charge of Hoffenheim, more than both his predecessors (Huub Stevens and Markus Gisdol) managed between them.Nagelsmann's side have scored in all six games since he took charge.Hoffenheim have the worst away record in the Bundesliga this season, though.Hamburg are without leading goalscorer Nicolai Müller, who is suspended.HSV coach Bruno Labbadia made his Bundesliga debut just nine days after Nagelsmann was born.